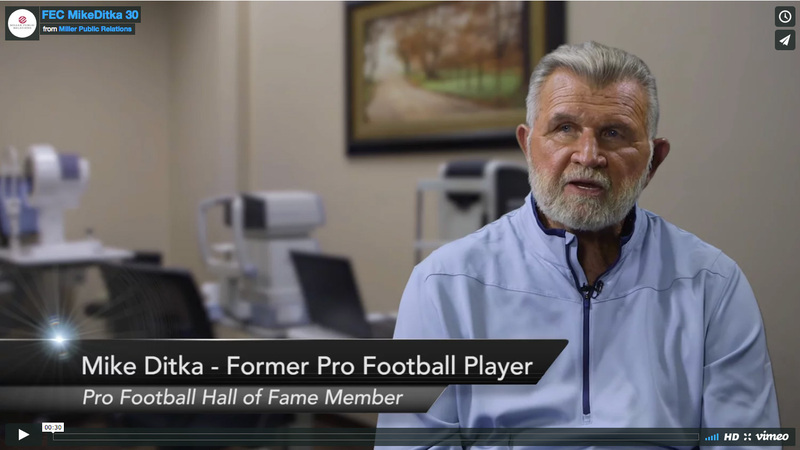 Miller Public Relations was tasked to create collateral pieces for Frantz EyeCare to help advertise the success story of their patient, Mike Ditka – renowned Hall of Fame football player and coach. Instead of using Frantz EyeCare’s existing branding, we decided to create a brand identity revolved around Mike Ditka and the sporting demographic. It was an obvious choice for us to use the Chicago Bears colors, navy blue and orange.